Copy My Websites Review - This is How the Scam Works! This is my detailed Copy My Websites review, complete with proofs and explanation on why this business model doesn’t work. Copy My Websites by Jake is yet another scam on the internet looking to make quick money off unsuspecting newbies. It costs you $37 dollars and promises to make you $1,000 a day, but unfortunately it is just not going to happen. For those of you who have purchased the program, I’ll talk about how you can get a refund as well. Copy My Websites is a scam that has been around for far longer than it should, misguiding newbies into thinking that making good money online is as easy as copying some other people’s websites. 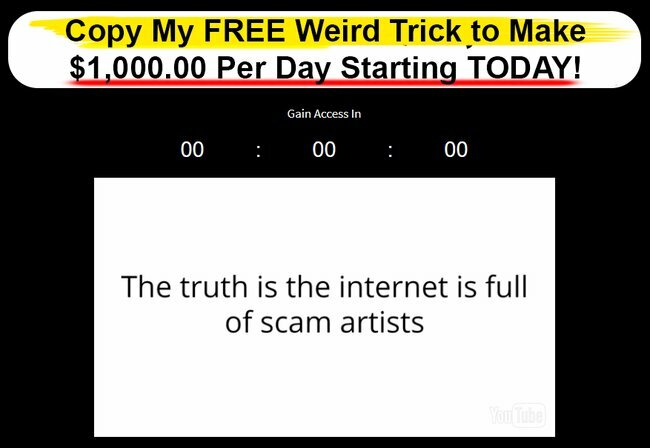 This is the kind of scams that give people a false impression that making money online is extremely easy and effortless, but it’s really not. As someone who makes a good portion of my monthly income from the internet, it took me 4 months to start making my first $100 online. It got a lot better from then on, but it definitely wasn’t as simple as copying some other people’s websites and making money instantly. To gain your trust, Jake has positioned other online business opportunities in a bad light and make them look like scams. However, the online opportunity that you have to be careful with is exactly his Copy My Websites system. Why Copy My Websites Does Not Work? We can safely assume that the websites he was talking about are affiliate websites, such as Amazon affiliate sites that generate income via commissions from sales. These websites provide unique and helpful content on a particular product groups or topic and help their readers make a better purchasing decision. In return, Google rewards these websites with good ranking in the search results so people can easily find them. This is how they get traffic to their websites and convert these readers into customers to make commissions. Now, the important ingredient in this process is UNIQUE and helpful content. If you simply copy the content from another website, you will be marked as “duplicate content” and your website won’t be ranked by Google at all. With your website nowhere to be found, how do you get traffic and visitors, and most importantly – customers and commissions? Google has been proficient in finding and marking duplicate content since more than 10 years ago, and they have only gotten better over the years. Nowadays, you don’t stand a chance to make a penny online if you are simply copying other people’s websites. While Jake may have some good websites that are making him good money (which he did not show in the presentation), you will not benefit at all from copying his websites. In a halfhearted effort, Jake included a faint disclaimer at the bottom of his sales page to warn his potential victims – that “the typical purchaser does not make any money using his system”. Apart from that, it’s obvious that Copy My Websites scam is repackaged from The Easy Internet Plan based on the disclaimer alone. It’s very common for internet scams to change their names once every few months when enough people have figured out their tricks. By changing the name, they can market it as a new program and deceive a whole new group of victims. Even though a faint disclaimer is available within the sales page, the fact that Jake is putting up this product and promising $1,000/day profit has already qualifies itself as a scam. What Are Some Other Red Flags in Copy My Websites Scam? If you know how online scams operate, it’s usually quite easy to sniff them out before you even get into knowing the details of the programs. Typically, online scams build up a lot of hypes and make you feel like it’s one-of-a-lifetime opportunity for you to get rich from the internet. This is the kind of baseless hype that you need to look out for, as countless online scams try to get your attention with ridiculous headlines like this. Just look at Online Wealth Markets, the scam that tricked thousands of people into believing that their system was a real deal using a fake news article with a fake headline. Other than that, you have to be very careful with high pressure sales tactics that usually accompany these scams. For example, Jake from Copy My Websites urge you to sign up right now or the video may be taken down very soon. If you hear anything like this in any future sales video, get the hell out of there immediately! This is a favorite sales tactic among online scammers to create a false sense of scarcity and urgency, leaving you no time to analyze the scam rationally. Lastly, after all the hypes and pressure from Jake, did you really understand what his program is all about? All we know is that if we make a purchase, he’ll copy his profitable websites for us and we’ll be making good money immediately. Did he show us an example of his websites? Did he explain how the whole process works? Did he talk about ranking websites and converting visitors into customers? Did he explain why he’s willing to take just $37 and make you $1,000 a day, even though it doesn’t make sense at all? In other words, we do not know anything about his program even after we sit through the entire presentation. Online scams like Copy My Websites are opaque for a good reason – their only goal is to part you from your money, so they give a lot of empty hypes and promises hoping that you will take the bait. What Happens if You Sign Up For Copy My Websites? You will make a one-time payment of $37, and probably get a few content-thin websites (only few pages in the website) with poor quality content. These content would have been replicated hundreds of times for each of the victims who purchased Copy My Websites program before you. Think about it. Even if the content are useful, what happens when there are hundreds of replicates on the internet? You will not get any traffic to your website, because Google will not even index your websites. A website that is de-indexed by Google is like a country that doesn’t appear on the map. Visitors won’t be able to find your website, and you will not get any traffic either. In other words, no one will be reading your content and naturally there is no commissions to be made as well. Fortunately, the program is sold through a third-party vendor called ClickBetter and you can request for a refund within 60 days through their website. The refund will be processed by the third party vendor and credited back to you. COPY MY WEBSITES PROGRAM IS A SCAM. I strongly advise you to stay away from the scam if you don’t want to lose your hard-earned money. You’ll be better off spending that $37 for a nice dinner with your family than wasting it on a scam like this. 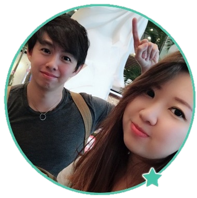 JJPTR Review – A Ponzi Scam or Legit Investment? I’d recommend Wealthy Affiliate if you are an absolute beginner, since it’s a zero-risk platform that doesn’t require payment before learning and getting started.